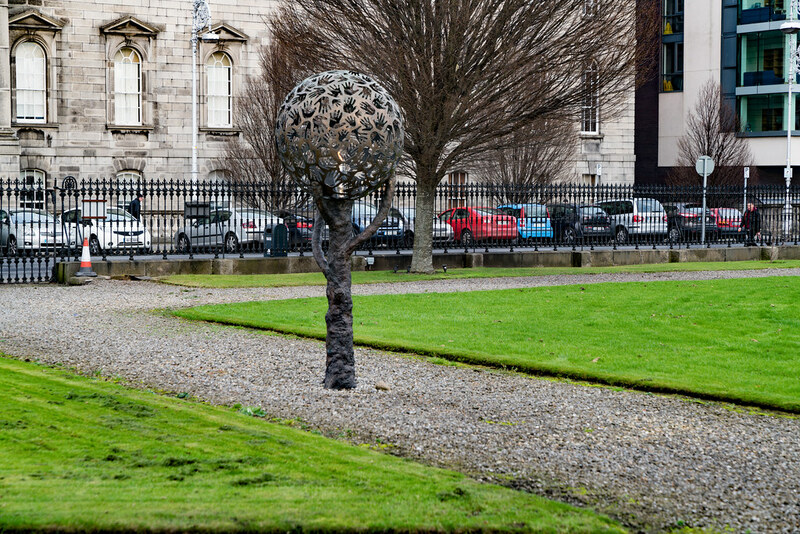 This sculpture made of bronze was erected on World Day of the Sick, February 11th 2000. 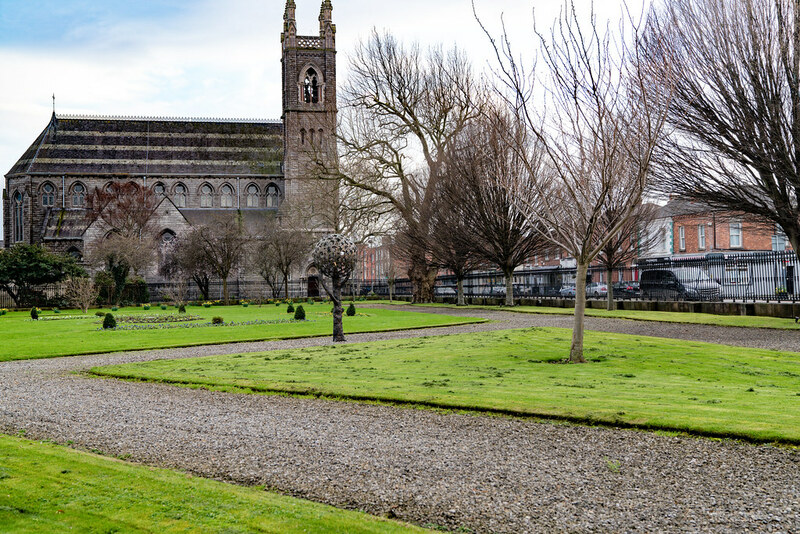 The sculpture is located in the Mater Plot Berkeley Road but I have never been able to gain access to the park which also features a large Celtic Cross. The sculpture represents the Burning Bush. At its centre is a flame which never dies and which reminds us of the everlasting love of God. The Flame symbolises the Light of Christ which brightened our world at the dawn of the first millennium. 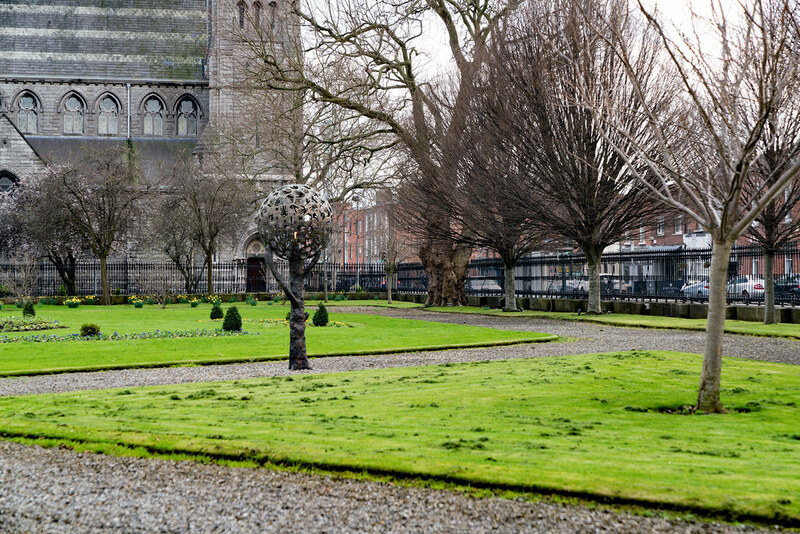 The Tree symbolises the Tree of the Cross and Christ’s redeeming Mission. 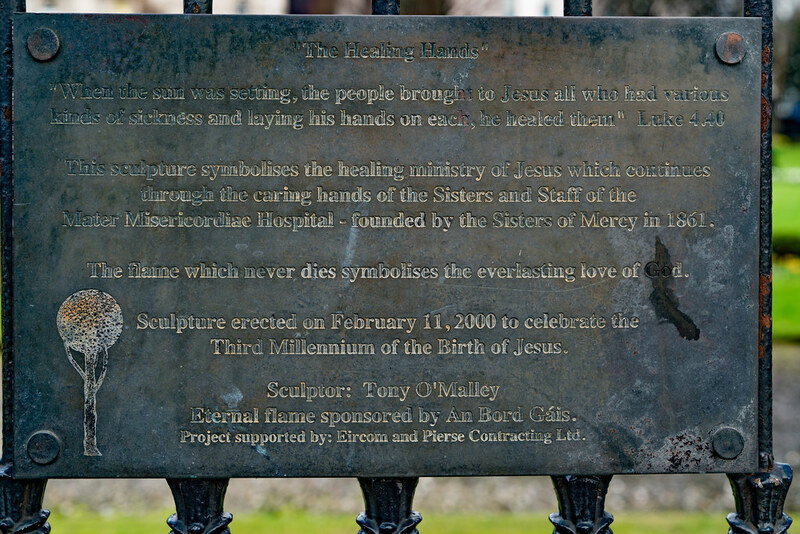 The Hands which form the foliage symbolise Christ’s healing ministry which continues through the caring and healing hands of the Sisters and staff of The Mater Misericordiae University Hospital. Tony O'Malley (25 September 1913 – 20 January 2003) was an Irish artist. He was born in Callan, County Kilkenny.